Learning is a journey of discovery, challenge, inspiration, and wonder. As the world’s learning company, we’re inspired by the way education transforms lives. Pearson has been an expert in designing and supporting the delivery of sport qualifications for over 20 years - working closely with teaching professionals, employers and professional bodies to ensure that our qualifications meet the needs of the sector now, and in the future. AquaPhysical is the creator of FloatFit - innovative group exercise ON water. Low impact and fun. The instability of water makes core muscles work continually. FloatFit programmes include: HIIT – high intensity interval training, BALANCE – inspired by Yoga and Pilates, GROW – fun and fitness for children. There are FloatFit classes designed to suit all ages and abilities. Proven to attract new demographics into the pool increasing user retention and engagement - making the pool a new gym. Why not see for yourself? Bigwave media helps business growth without the need for capital investment by maximising existing facilities and management teams. Currently working with clients across over 400+ in the UK, Bigwave specialises in the provision of marketing services specifically to the leisure, tourism and culture sectors within local governments, universities and charitable/social enterprises. They do this by providing innovative and cost-effective marketing and business support across a wide range of products and services, all designed to drive businesses forward. Bigwave Media’s services include design, digital (marketing, SEO and mobile support), and consultancy / operational partnerships. CAP 2’s motto is ‘Happy People. Helpful Software’ and they fulfil these aims through their market leading sports course management software CoursePro. CoursePro’s revolutionary software brings your sport programme into the 21st century. Automated communication, payment chasing, easy admin, assessment tracking and customer interaction are just some of the many enhancements that CoursePro can make on your business. Started in 2009 CoursePro has gone from working with a handful of sites in the south west of England, to working in over 1500 sites internationally, with customers such as GLL, Nuffield Health and Virgin Active. DFC are a leading Revenue Management Solutions company, providing fully managed membership management solutions to happy clients throughout the industry. They do more than simply collect your subscriptions and can confidently say that their input has been paramount in helping a large number of clients continually grow revenue through membership engagement. FrieslandCampina Institute provides nutrition and health professionals with scientific information and practical tools on a wide variety of nutrition and health topics. The FrieslandCampina Institute stimulates the exchange of knowledge with the aim of better nutrition for all. With its expert knowledge of dairy and international network, the FrieslandCampina Institute participates with nutrition and health professionals to improve the health and well-being of people worldwide. It provides professionals with scientific information and practical tools, such as videos, publications and booklets. Our information and tools can be found and downloaded free of charge via our website. 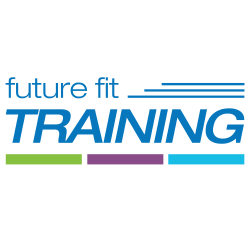 Future Fit Training have been driving innovation and excellence in the fitness industry since 1993 and are committed to raising the standards of health and fitness training across the UK. As the two time winners of ukactive’s ‘Training Provider of the Year’ Award in 2016 and 2017 and winners of the ‘Innovate Training Programme’ Award in 2014, they are recognised by experts within the sector for their outstanding quality of training and impact on the health and fitness industry. 4global are ‘shaping the future of sport’, empowering clients to digitally transform and enhance their operations through sector leading business intelligence platforms and data analytics services. The award-winning DataHub manages the larges repository of sport and physical activity data in the UK, tracking 550million visits from over eight million people to 2,000 venues. It gives facility operators, county sports partnerships and national governing bodies access to unprecedented levels of intelligence. This enables them to make insight-led decisions and evidence impact. Harlands Group are a leading global provider of regular billing services in health and fitness and the largest company within Transactional Services Group (TSG). Harlands Group work with more leisure operators than any other DD company in the UK or Europe. They provide clients with a state of the art signup process online and their clients sign members, safe in the knowledge that the maximum amount of revenue possible will be collected according to membership terms. Harlands Group are regulated in the UK by The Financial Conduct Authority (FCA) a financial regulatory body but operates independently of the UK Government. They hold an FCA passport to operate in Ireland, Italy, Netherlands, Spain and Sweden. A passport enables an authorised firm to provide financial products or services, set up a base, or run its permitted activities in another country in the European Economic area. The Institute of Swimming are the largest provider of Swim England qualifications and aquatics courses. We offer flexible, industry leading training, delivered by exceptional tutors. Their courses cover teaching swimming, coaching, aquatic health and fitness, and pool plant. Quality is at the heart of everything IoS do, as high-quality courses and tutors lead to outstanding aquatic professionals. They can create a bespoke workforce development plan and use a mixture of delivery models to match your business needs. Kinetic Insight specialise in the design and creation of digital solutions with the sport and physical activity sector. Our award winning solutions have revolutionised the management and evaluation of the most successful sport and physical activity programmes delivered across the UK. Whether you’re looking to find out more information about our existing solutions, or would like to discuss how we can support you to develop a concept into a fully functional solution. It is estimated that over 45% of the population suffer from food intolerances, which whilst not life threatening, can have a massive impact on your client’s quality of life. Lorisian, through its parent company YorkTest, has 36 years’ experience, specialising in laboratory tests that measure food triggers for practitioners to help their clients overcome the struggles of a food intolerance and achieve optimal health and wellbeing. With its roots in the leisure industry, assisting swim schools, MOR Solutions Ltd offers affordable course management solutions, designed to help users; save time, reduce administration, simplify enrolment and take the stress out of payment collections to enable maximum retention. SwimSoft Online and MOR Leisure are the businessess leading products, both of which are tailored to cover the needs of administrators, management and instructors alike, with its cutting edge ‘flexible’ direct debit collection system, setting it apart from others. The team is looking forward to meeting with, and showing delegates the innovations being brought to market in 2019. Since launching in 2011, Myzone has taken the term ‘wearable technology’ and made it relevant to its networks within the fitness industry. In the beginning, the brand invested heavily in its product, deliver and people. Now, Myzone is looking to achieve a more appealing brand identity, brand mission, and brand values; while also reflecting professionalism and commitment to its position within the wearable tech space. Right Directions (Management) Limited has been established since May 2004. They provide Health & Safety, environmental management and quality management consultancy to a variety of sectors including Sport and Leisure. They are a support service, which helps facilities improve their quality management, Health & Safety systems, environmental procedures and customer service through training, audits and mystery visits. Right Directions has grown organically purely through word of mouth. “We can tailor our services and products to meet the needs of each client." The Swimming Teachers Association (STA) is an educational charity, founded in 1932, that is dedicated to saving lives through the teaching of swimming, lifesaving and survival techniques. We use our extensive industry experience to ensure that we offer a comprehensive range of professional qualifications, awards and CPDs using the very latest delivery methods and teaching techniques. Swim England is the national governing body for swimming in England. We help people learn how to swim, enjoy the water safely, and compete in all our sports. Our vision is of a nation swimming and we strive to inspire everyone to enjoy the water in the way that suits them. We work with our partners to create engaging programmes that enable everyone to be active, have fun and stay healthy through swimming. The award-winning SWIMTAG platform is used by over 220 leading pool operators in the UK and Europe to attract, motivate and support their members. SWIMTAG enables pool operators to run exciting challenges and competitions to inspire all their members from recreational to masters swimmers. SWIMTAG operators use our weekly 400m Rule The Pool competitions, hosted Pool Battles and digital leaderboards to increase swimming participation, sell more memberships and in turn generate a significant return on investment. Established in 1993, Taylormade have supplied embroidered and printed clothing and merchandise to the leisure industry for over 20 years. They work with many leisure trusts and health and fitness companies in the UK such as GLL and Places Leisure. With their ‘in-house’ embroidery and printing services they are able to provide a fast, efficient service on all your uniforms. Xn Leisure is a leading software management solutions provider, with over 4 decades of experience delivering award winning IT software. Thousands of users benefit from our wealth of knowledge and expertise. Our portfolio includes self-service and web solutions that increase control of resources, profitability and efficiency.